The Official Trailer of ‘Dhaka Metro’ was launched today by hoichoi, a leading Bengali digital platform, amidst media & guests in a press conference held in Pan Pacific Sonargaon. 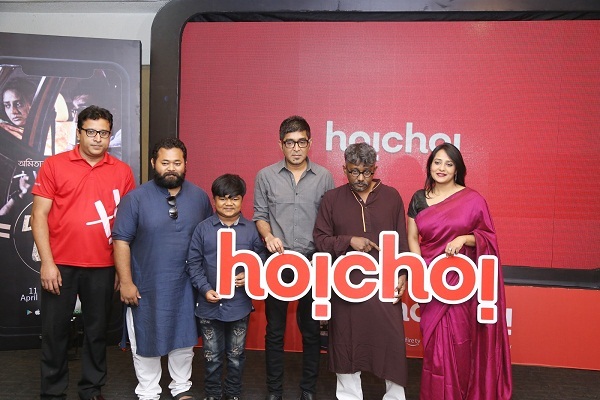 Dhaka Metro is hoichoi’s effort to take Bangladesh-produced content to the global audience and offer a platform where entertainment-lovers from across the world can watch the performances of talented Bengali actors. This is the first time hoichoi is working with National Award-winning Director, Amitabh Reza Chowdhury, actor Neville Ferdous Hasan, National Award-winner Aupee Karim and actor Shariful Islam to present the story of a man trying to break free of his monotonous urban lifestyle and rediscover himself. Dhaka Metro will be streaming on hoichoi from April 11, 2019, produced by Amitabh Reza Chowdhury’s Half Stop Down. Also present at the grand press conference were the producers of Half Stop Down – Mahjabin Reza Chowdhury and Md. Assaduzzaman; writer Naseef Amin; and artists of the web series – Neville Ferdous Hasan, Aupee Karim, Sharmin Joha Shoshi, Shariful Islam Shamim, and Mostafa Monwar. 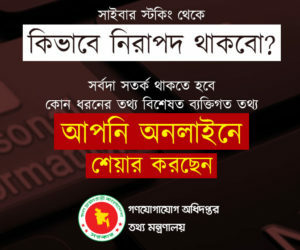 Bangladesh has seen a major change in the entertainment industry with the introduction of online streaming services. Web content has gained huge popularity, and the Bengali audience across the globe demand fresh content. Digital platforms are making it easier for the users to watch such content, besides watching a film in a movie theatre. In this new digital era, entertainment is available anytime and anywhere. Dhaka Metro adds a unique flavor to this world. The unconventional web series boasts of 9 unique episodes that depict different phases of a person’s life, namely: Relation, Alienation, Recollection, Exemption, Incarceration, Self-Regulation, Ennui, Delusion and The Last Journey. Amitabh Reza Chowdhury approaches the feeling of an exhausting city life. He uses web as a medium to offer a satirical interpretation of the contemporary society. For the first time, audience will get the opportunity to explore Amitabh Reza Chowdhury beyond his “Amitabhesque” storytelling in this web show. Dhaka Metro was shot during gloomy winter weather to capture the beautiful landscape of North Bengal which sets the mood for the story. Sakib R Khan, hoichoi Bangladesh Lead, said, “Dhaka Metro is exclusively available on hoichoi and is our first attempt to take Bangladesh produced content to the global audience. Our local talent has always been recognized globally and the app ensures that our content reaches the Bengalis worldwide, who can now see the work of our popular talent and technicians. hoichoi is also coming up with more content production in Bangladesh which will soon stream on the app. We are happy to announce that our users can now subscribe to hoichoi using our local currency and through multiple payment methods like local Wallets, Credit, Debit Cards and more”.